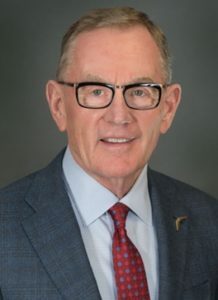 Dave Skogen, Chairman of Festival Foods and advocate of Servant Leadership will be the keynote speaker for this year’s Victory Over Violence Gala & Auction to benefit New Horizons Shelter & Outreach Centers. In addition to running a successful chain of grocery stores, Skogen and his wife, Barbara have been instrumental supporters in many community projects. Everything they do is rooted in the concept of Servant Leadership. Skogen believes we are created to serve others in all that we do. He follows the philosophy that in order to be a leader, one must first be a servant to others. You don’t want to miss his inspiring talk at this year’s Victory Over Violence Gala and Auction. Mark your calendars now to join us Saturday, March 23 from 5:30pm to 9:30pm in the Cargill Room at The Waterfront Restaurant & Tavern in La Crosse to hear Dave Skogen speak on the rewards of actively practicing servant leadership and take part in a full evening that celebrates a year of hard work with New Horizons Shelter & Outreach Centers as we honor the victims and survivors reclaiming their lives from violence. The Victory Over Violence Gala and Auction is many things, including New Horizons largest fundraiser of the year. Tickets are ON SALE NOW. We hope you will save the date and be a part of it! For information on sponsorship opportunities, or if you would like to donate an item for the auction, please contact Patty Nuttleman at dev@nhagainstabuse.org.